All work in ImpleMentAll is solidly based on the research already carried out by our own expert partners and by others, which is clear from the long list of relevant literature indicating the depth of our scientific foundation. This list grows in pace with the project as we broaden our horizon and publish our results. A good deal of our work is also based on knowledge, experiences, and partnerships from other or previous European projects, eg MasterMind and eCOMPARED. 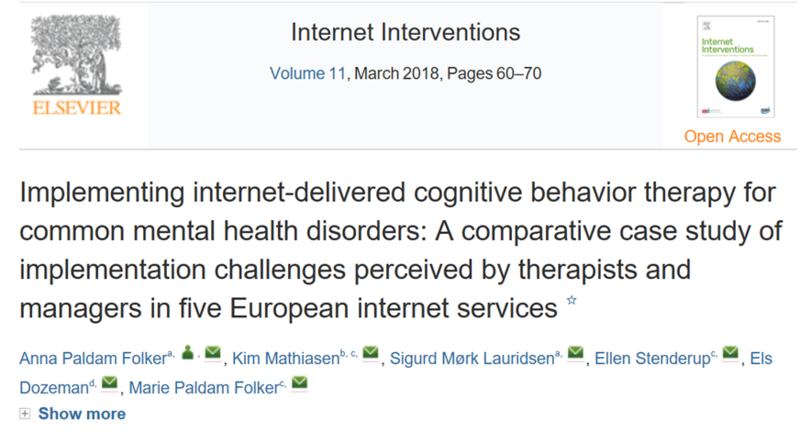 See for example the newly published paper Implementing internet-delivered cognitive behaviour therapy for common mental health disorders: A comparative case study of implementation challenges perceived by therapists and managers in five European internet services.